QUALTECH INDUSTRIES, INC. MAKES QUALITY OUR TOP PRIORITY. WE PRIDE OURSELVES ON MAKING QUALITY PRODUCTS AND HAVING OUR CUSTOMERS EXPECT THE HIGHEST QUALITY POSSIBLE FOR ALL PARTS WE SHIP. BELOW ARE SOME OF THE PROCESSES WE HAVE IN PLACE TO ENSURE QUALITY IS ALWAYS A FOCUS. - QUALITY MANAGEMENT SYSTEM WHICH ADHERES TO REQUIREMENTS OF ABOVE CERTIFICATIONS. - COMPLETE INVENTORY AND CALIBRATION TRACKING OF ALL INSPECTION GAGES USING GAGEPACK SOFTWARE. - ENTERPRISE RESOURCE PLANNING (ERP) USING SHOPTECH E2 SHOP SYSTEM SOFTWARE. - NON-CONFORMANCE TRACKING USING E2 SOFTWARE. - CORRECTIVE AND PREVENTATIVE ACTIONS TRACKING USING E2 SOFTWARE. - DOCUMENTATION AND TRACKING OF ALL PRODUCTION, INSPECTION, AND OUTSOURCED PROCESSES USING E2 SOFTWARE. 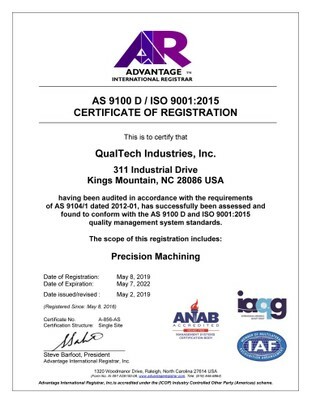 QUALTECH INDUSTRIES, INC. IS CERTIFIED PER AS9100D AND ISO 9001:2015. CLICK THE IMAGE BELOW TO VIEW OUR CERTIFICATE. 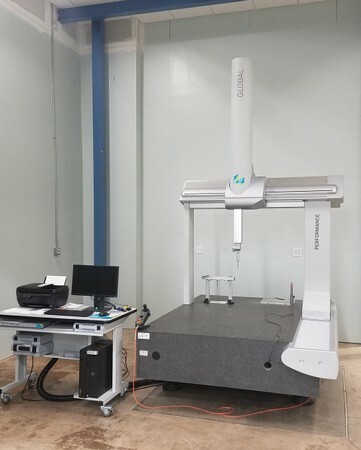 QUALTECH INDUSTRIES, INC. UTILIZES A HEXAGON GLOBAL PERFORMANCE 12.15.10 FOR CMM INSPECTIONS. 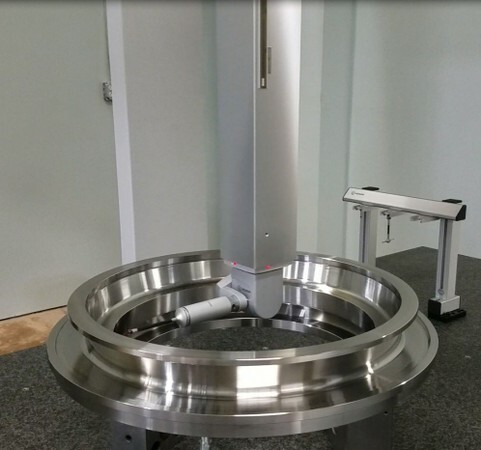 IT HAS A MEASURING RANGE OF 47” (1,200) mm x 59” (1,500 mm) x 39” (1,000 mm) AND WAS CUSTOM ORDERED WITH THICKER GRANITE FOR AN INCREASED WEIGHT CAPACITY OF UP TO 8,000 POUND OR 3,600 KG. CLICK ONE OF THE IMAGES BELOW FOR ADDITIONAL DETAILS. 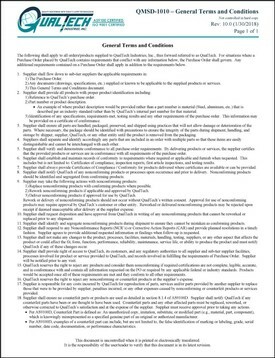 CLICK THE IMAGE BELOW TO VIEW QUALTECH INDUSTRIES, INC.'S GENERAL TERMS AND CONDITIONS.